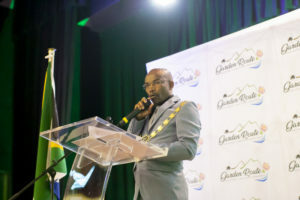 Organisations and/or bodies who qualify for financial assistance, in terms of the criteria and prescriptions contained in Garden Route District Municipality’s Grant-in-Aid Policy and Section 67 of the Municipal Finance Management Act 2003, are hereby invited to submit proposals for programs they endeavour to undertake during the calendar year 2019. Only applications submitted on the prescribed application form and accompanied by all the required information, documentation, financial statements, covering letter, etc. and received by the Office of the Executive Mayor on/or before 18 January 2019 at 11h00, shall be considered. Copies of the said policy and application form are available at the various Garden Route District Municipal offices during office hours (Mondays to Thursdays from 7:30 to 16:30 and Fridays from 7:30 to 13:30), as well as on the website: www.gardenroute.gov.za. report on its previous expenditure. Closing Date: 18 January 2019 at 11h00.